This 3-in-one Columbia Boy's Youth Explore S'more™ Interchange Jacket is ready for wintertime adventures. Crafted of a seam-sealed waterproof-breathable shell with a cozy fleece liner, each piece can be worn separately or together for maximum warmth and protection. Featuring a chin guard, elastic cuffs and hem, and zippered hand pockets. This 3-in-one Columbia Boy&apos;s Youth Explore S&apos;more™ Interchange Jacket is ready for wintertime adventures. 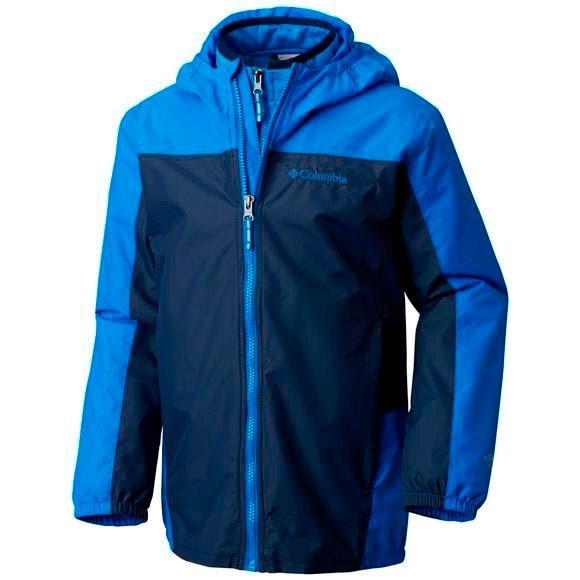 Crafted of a seam-sealed waterproof-breathable shell with a cozy fleece liner, each piece can be worn separately or together for maximum warmth and protection. Featuring a chin guard, elastic cuffs and hem, and zippered hand pockets.